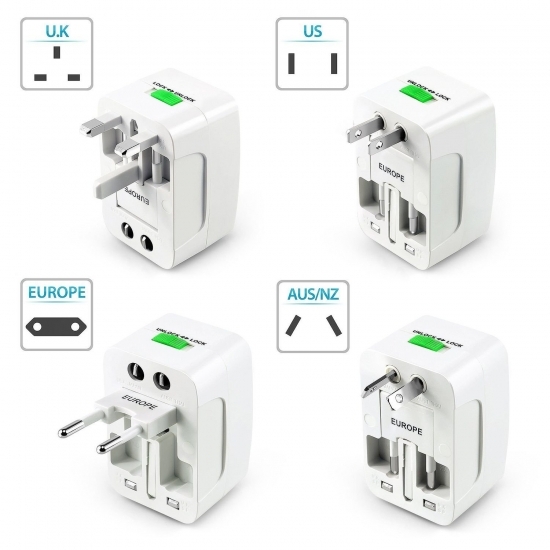 This universal international plug converter adapter can convert the plug on the device to the type of plug you need(UK,Europe,US/AU). 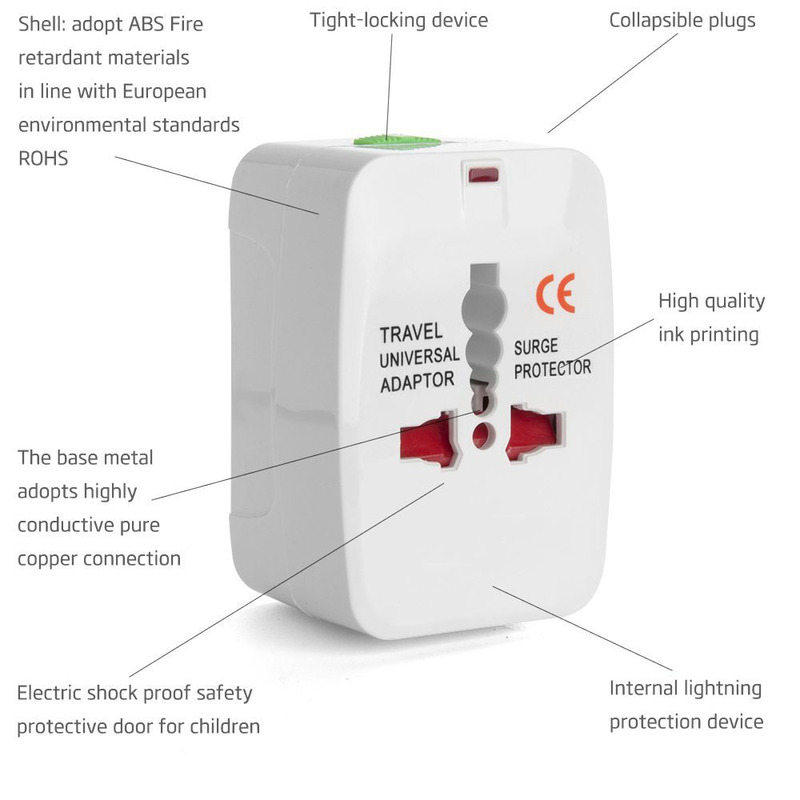 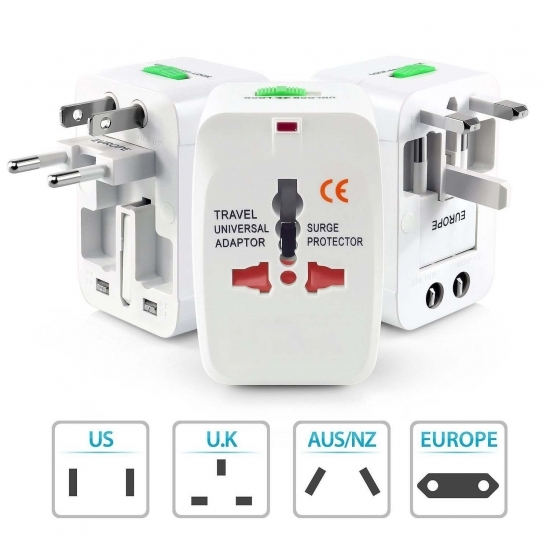 It‘s convenient to carry and good to use, a perfect helper for your business trip,overseas tours and visiting relatives abroad.With 4 international plug adapters(UK/EU/US/AU standard plugs).Easy to push in and easy to pull out.Universal Plug Adapter universally compatible in over 150 countries. 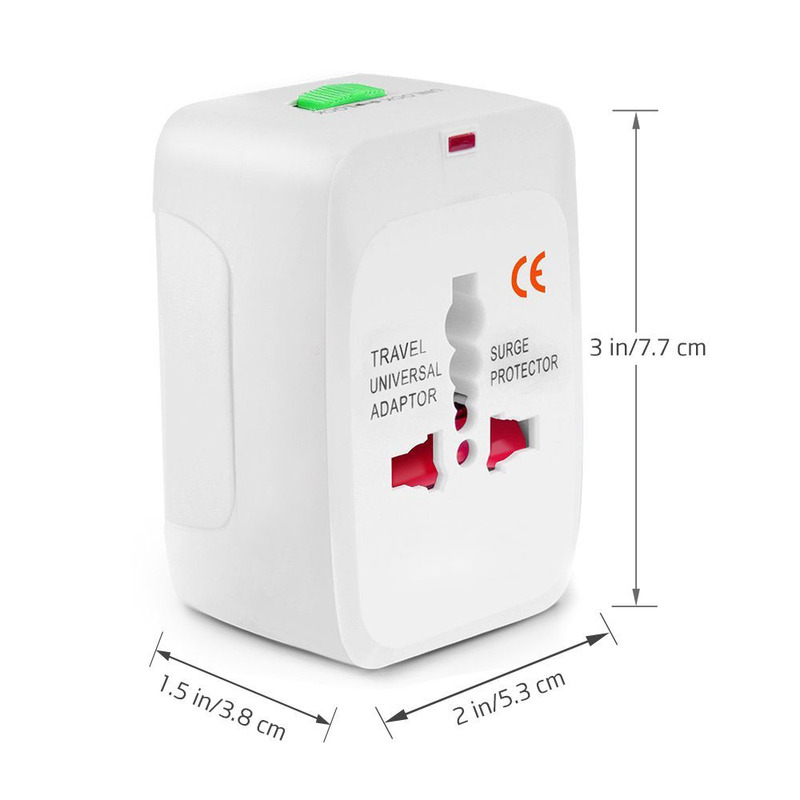 This universal plug adapter is not a converter, it just converts the power outlet plug type, it does NOT convert electrical output current and voltage. 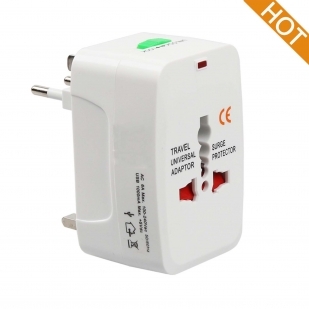 Please make sure your device carries a electrical converter when you travel to other countries with different electrical output. Compatible in over 150 countries,including Austria Belgium Bulgaria Croatia Czech Denmark Estonia Finland France Germany Greece Hungary Ireland Iceland Italy Lithuania Latvia Monaco Moldova Malta Netherlands Norway Poland Portugal Romania Russia Sweden Switzerland Spain Slovakia San Marno Ukraine United Kingdom Vatican City Yugoslavia United Arab Emirates Afghanistan Albania Azerbaijan Bangladesh Bahrain Brunei Bhutan Cambodia China Cyprus Hong Kong Indonesia. 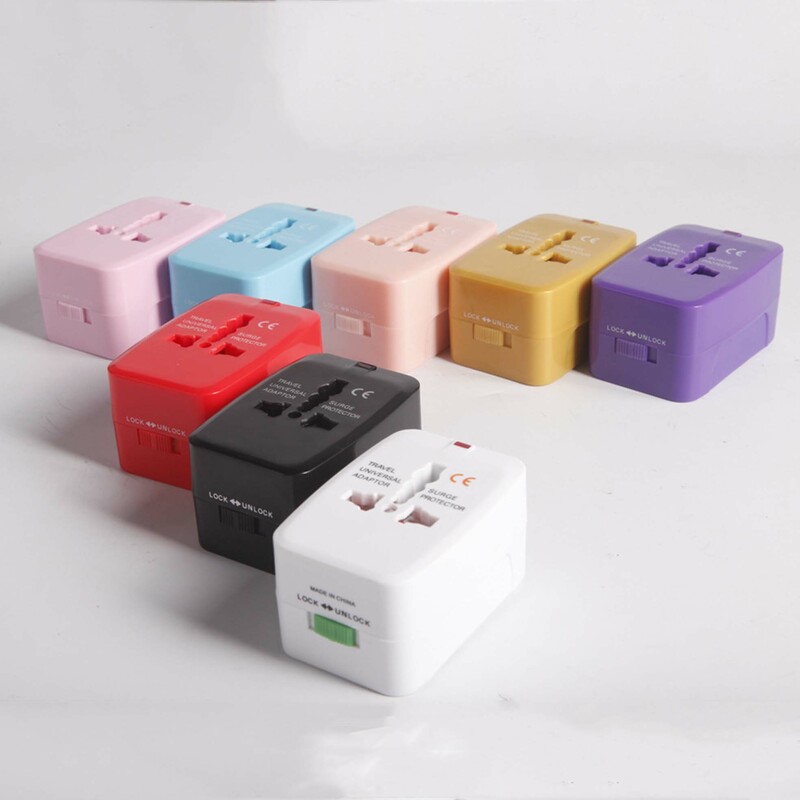 India Iraq Iran Jordan Japan Korea Kuwait Lebanon Mongolia Macao Maldives Malaysia Nepal North Korea Oman Philippines Pakistan Qatar Saudi Arabia Singapore Thailand Taiwan Uzbekistan Vietnam Yemen Bahamas Canada Costa Rica Cuba Grenada Guatemala Honduras Haiti Jamaica Mexico Nicaragua Panama United States Australia Fiji Guam New Zealand Papua New Guinea Tonga Venezuela Argentina Bolivia Brazil Chile Colombia Ecuador Guyana Peru Paraguay Uruguay Australia Guam New Zealand Papua New Guinea Tonga. Volts:120-240 V; Current rating: 6-13A.Built-In safety shutters protect users from the direct touch of the live parts on the socket outlet.Supplied with a drawstring pouch for safely transporting the adapter. 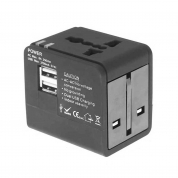 When you are going abroad, are you worried about the power of the electronic equipment you are carrying? With this plug, you will be able to go to most countries in the world without worrying about power consumption or charging of electronic products. This universal Travel Power international plug converter adapter can convert the plug on the device to the type of plug you need(UK,Europe,US/AU). It's convenient to carry and good to use, a perfect helper for your business trip,overseas tours and visiting relatives abroad.With 4 international plug adapters(UK/EU/US/AU standard plugs). 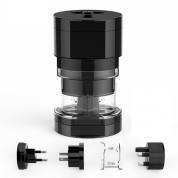 Easy to push in and easy to pull out.Universal Plug Adapter universally compatible in over 150 countries.